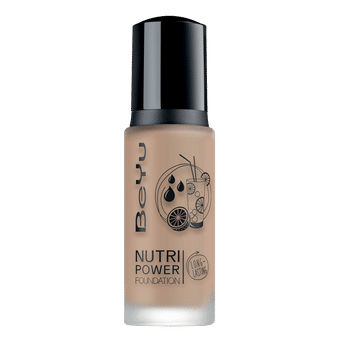 Get super long-lasting coverage for up to 8 hours with BeYu Nutri Power Foundation. It guarantees a fantastic radiance all day long and soothes the skin. Enriched with Vitamin C, Panthenol and Shea butter that keeps skin hydrated. Moisturising thanks to hyaluronic acid. Medium to high covering power. Alternatively, you can also find many more products from the BeYu Nutri Power Foundation Long-Lasting range.